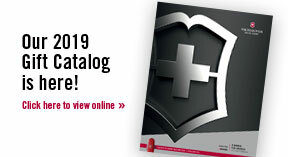 All Victorinox Swiss Army Products from the following categories are considered to be compliant with the newest Prop 65 regulations: Swiss Army Knives, Cutlery, Victorinox Watches, Wenger Watches, Epicurean Cutting Boards, and Konus Binoculars. Victorinox and Wenger Travel will be shipped with a warning label. The inclusion of this warning on our products is a proactive, preventative measure and by no means an admission that our offerings are intentionally over lead and phthalate thresholds. Please contact Tricia.Martinez@swissarmy.com for further information. Distributor-only deals? We have some! Contact the representative for your region for details.